While all the evening receptions on the Hill sound fun and glamorous, I'm an old man who, more often than not, would rather just go home, sit on the couch, and catch up on NCIS New Orleans on my PVR. But a lunch reception? That I can definitely do. 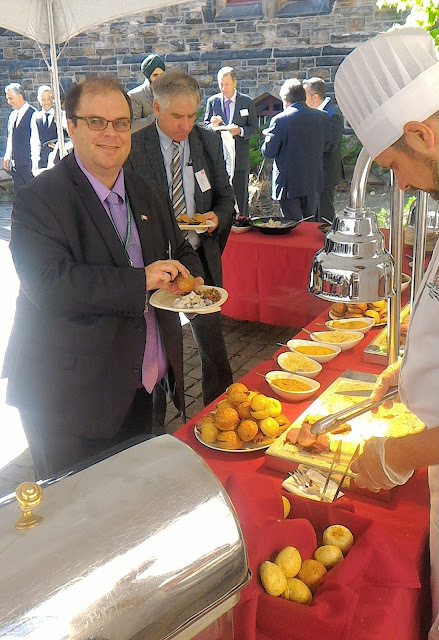 Having missed the Canadian Cattlemen's Association's recent Beer, Beef and Whiskey receptions, I've been looking forward to their end of summer Beef lunch BBQ in the East Block Courtyard. And it didn't disappoint; you could smell the delicious beef clear from Gatineau. And delicious beef it was. On my first round through, I sampled both salads -- because I'm healthy like that. The potato salad was standard fare but fresh and well prepared, and the quinoa salad with corn and other assorted vegetables was quite tasty. But this wasn't the quinoa reception. 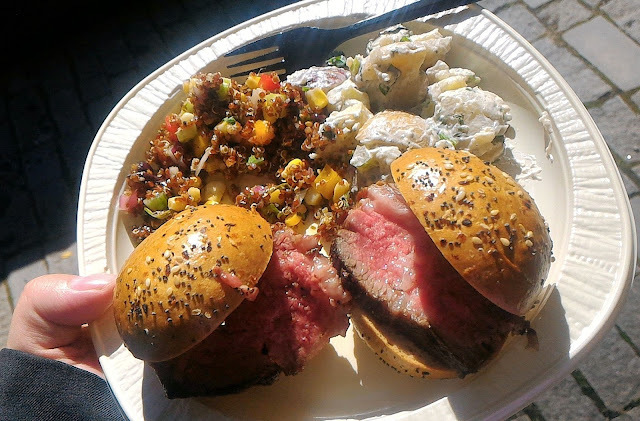 The beef on buns was tender, juicy and delicious. They couldn't slice it fast enough for the hungry hordes. After listening to the speakers talk about Canadian beef, including its growing sustainable, hormone-free, ethically-treated beef program, and an appearance by Agriculture Minister Lawrence MacAulay, I got back in line for my second round of beef right behind Tony Clement, who insisted he was only on his first round. This time, I was focused. No salads, no buns (sorry, Canadian Grain Farmers). This time, I said, just slice the beef onto my plate. And they did. And it was good. A fitting end to grilling season. 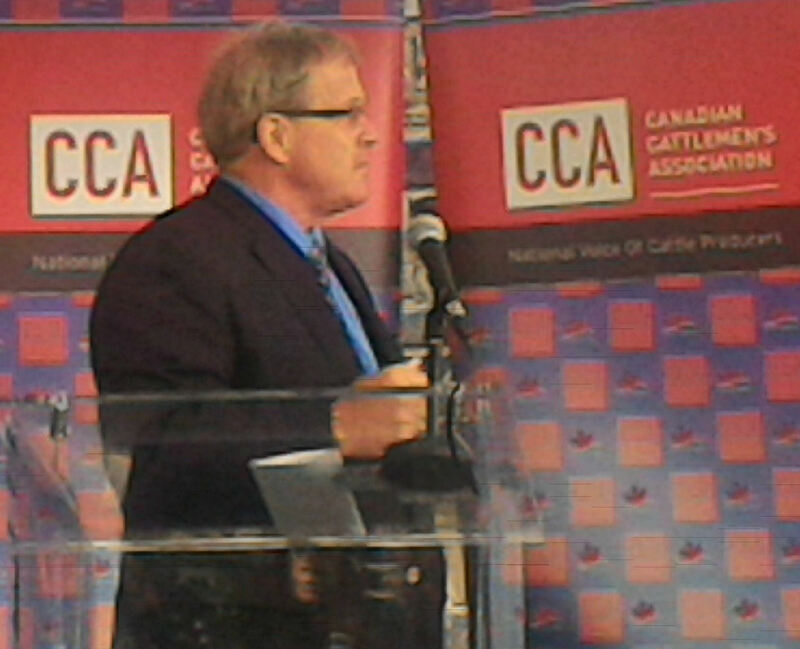 Thank you Canadian Cattlemen.